Kris Richard Taking Over For Rod Marinelli Earlier Than Expected? Believe it or not, a lot of Cowboys Nation has grown tired of Rod Marinelli's simplistic and predictable 4-3 defensive scheme. Dallas Cowboys fans are ready for a change and quite a few of them believe that Kris Richard is the answer. 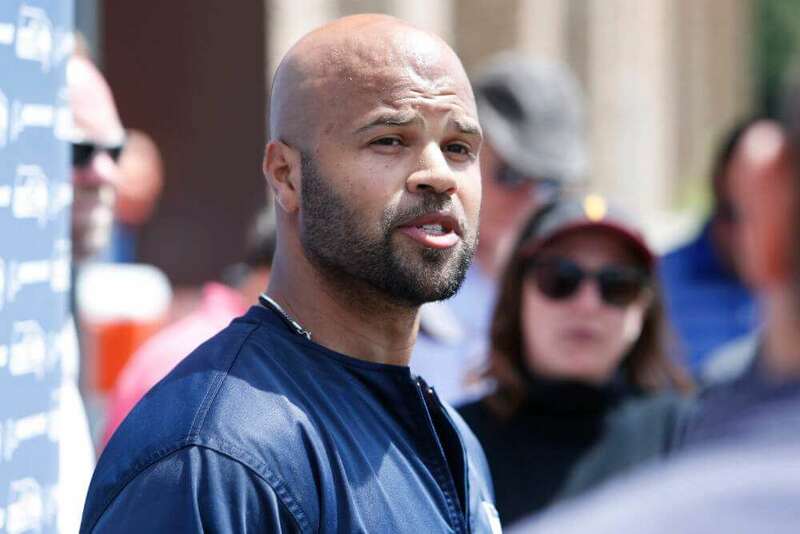 The Dallas Cowboys hired Kris Richard earlier this offseason to become the new defensive backs coach and passing game coordinator. Almost immediately, rumors and speculation began to circulate that he would be the next defensive coordinator, taking over for Rod Marinelli once he retires. It's really not that big of a reach to see such a promotion happen, especially since Richard has found previous success as a defensive coordinator with the Seattle Seahawks. But, as things stand right now, Rod Marinelli still has the title of DC in Dallas, but for how long? We have already seen a few changes being made to the Cowboys defense that seem to have Kris Richard's fingerprints on them. Moving Byron Jones from safety to cornerback for instance is a perfect example. Of course, we could see even more of Richard's imprint on the Cowboys defense next week when the 2018 NFL Draft gets underway. I think he will have a big say in the types of players they select if he is indeed expected to become the next defensive coordinator. Further evidence Kris Richard will have quite a bit of input on the Cowboys defense this season is the fact that a lot of players have been watching game film of the Seahawks' defense. I don't know about you, but for me this is pretty solid evidence the Dallas Cowboys are going to make some changes on the defensive side of the ball and that Kris Richard will have a lot of say in those changes. I may be reading too much into all this or I may be hitting the nail right on the head. But, there's no denying there seems to be a renewed energy from the Cowboys defensive players. Maybe it's the hiring of Kris Richard or something else, but I personally find it intriguing. I'm really looking forward to finding out how all of these pieces end up falling into place. I really don't care who holds the title of defensive coordinator in 2018 as long as we see improvement from the Cowboys defense. For the Cowboys defense to improve from last season it's going to take a collaborative effort from the entire coaching staff, not just Rod Marinelli and Kris Richard. That's just the way things work in the NFL, but it's never going to stop us from speculating when some new blood is brought in. Do you think Kris Richard is taking over for Rod Marinelli earlier than expected?